It's been four years since our last week in a Lexus GX460. So what's changed? Virtually nothing. 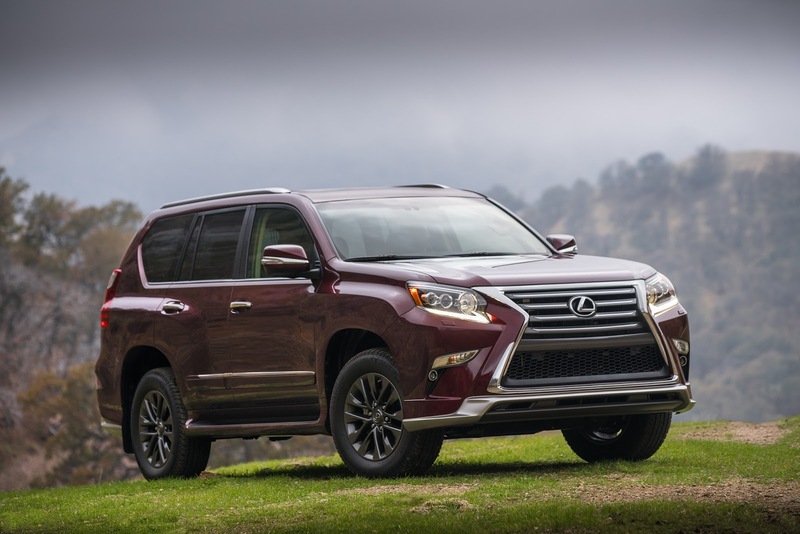 Some folks have been expressing worry about the future of the GX460. It's been around, virtually unchanged (this year's big news is the Sport Design Package, more about which later), since the 2010 model year (LED lights and the Lexus spindle grille were added in 2013). That's a long time without even a mid-cycle refresh. And Lexus hasn't been publicly discussing a next-generation GX. But our bet is that Lexus will keep making the GX460 because people keep buying them. It is a solid, strong competitor to Land Rover's Discovery and Range Rover Sport, every bit as capable and luxurious and demonstrably more reliable. 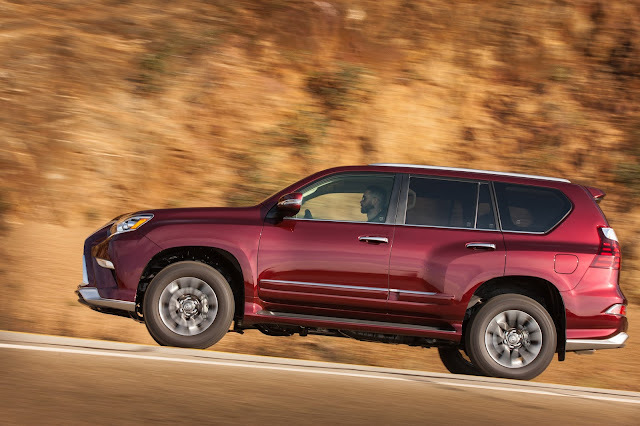 The GX460 is a body-on-frame, V8-powered, three-row SUV with full-time four-wheel drive and a Torsen limited-slip differential. As David E. Davis, Junior once said, it'll climb a tree if you're brave enough. The V8 is the long-serving 4.6-liter, 32-valve DOHC variable valve timing powerplant that's been under the hood for eight model years running. EPA fuel economy estimate: 15 city/18 highway. A base price of $63,230 gets you that as well as adaptive variable suspension, rear air suspension with automatic load leveling, a kinetic dynamic suspension system, 18-inch alloy wheels with mud and snow tires, anti-lock braking with electronic brakeforce distribution and brake assist, vehicle stability and trailer sway control, ten airbags, the Lexus Enform Safety Connect app suite, smart access with pushbutton start and stop, a blind spot mirror with rear cross-traffic alert, backup camera, intuitive parking assist, navigation with an eight-inch touchscreen, voice command, a one-year trial subscription to Lexus Enform Destinations, a three-month subscription to SiriusXM Satellite Radio, semi-aniline leather-trimmed seats with memory, the front seats heated and ventilated and ten-way power adjustable, the second row heated. 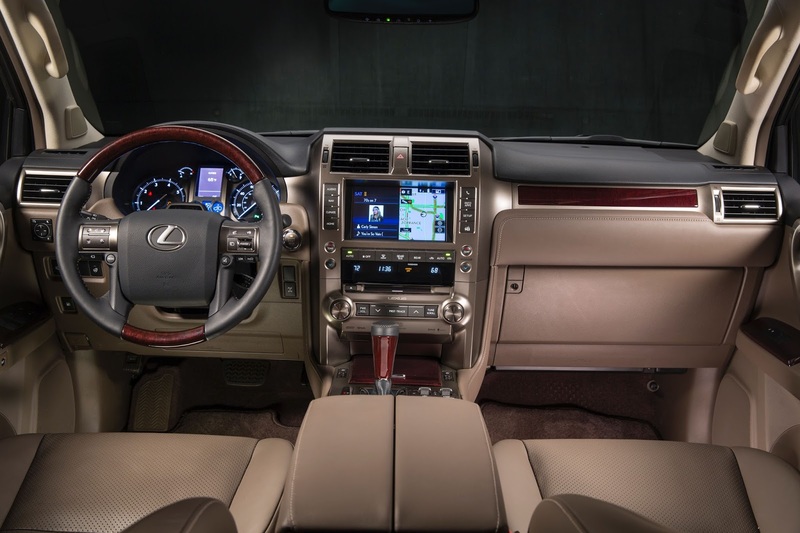 There's also a heated mahogany wood steering wheel and shift knob, a three-zone climate control, rain-sensing wipers, a windshield de-icer, auto-dimming mirrors, Homelink, power folding mirrors, a power tilt/slide moonroof, automatic LED low-beam headlamps with washers, LED daytime running lights, LED foglamps and running boards (which my wide feet found too narrow to be useful---I had to step over them to get in and out). That's a lot of SUV for $63,000. Especially in a world where you can find less capable machines nudging $100,000. Dual-screen rear-seat entertainment system with audio/video and HDMI inputs, a 12-volt outlet and wireless headphones: $1,970. The Sport Design Package (18-inch split-six-spoke alloy wheels with gunmetal metallic finish, heated second-row tilt and slide captain's chairs, unique lower grille front, and rear bumper spoilers, a chrome exhaust tip, chrome detail side mirrors and deep red taillights): $1,950. The Driver Support Package with Mark Levinson Audio (a pre-collision system with driver attention monitor, dynamic radar cruise control, lane departure alert, intelligent high-beam headlamps, wide-view front and side monitor, crawl control, and a Mark Levinson Premium surround-sound audio system): $4,340. F-Sport 18-inch alloy wheels: $1,499. Tow hitch with ball mount: $654. With $995 delivery, processing and handling fee, the bottom line rises to $75,072...but that's still a relative bargain in this class of vehicle. And Lexus' legendary reliability means you can spread that cost out over a very long and happy period of ownership.